Chocolate ice cream layered with graham cracker toffee, marshmallow fluff, and chocolate sauce. 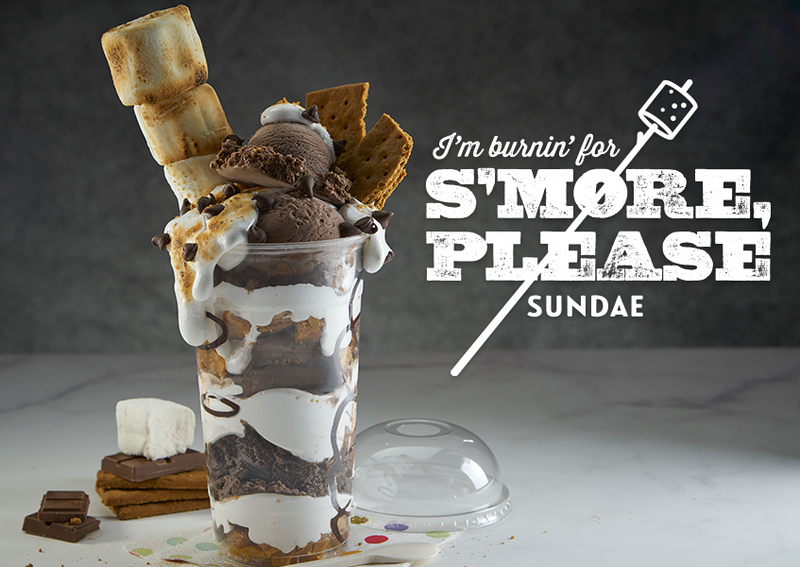 Topped with a swirl of marshmallow crème and garnished with a skewer of toasted jumbo marshmallows and graham crackers. 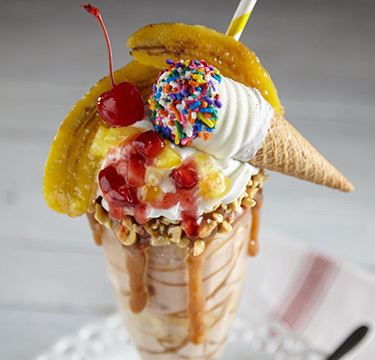 Using melted chocolate, create zig zag designs around the inside of a 32-ounce cup. 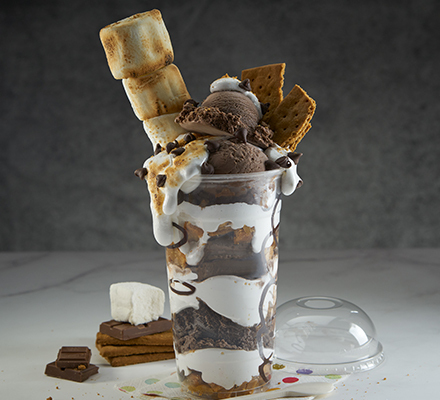 Layer 2 fluid ounces marshmallow crème, ¼ cup graham cracker toffee, and 1 scoop chocolate ice cream. Repeat 2 more times. 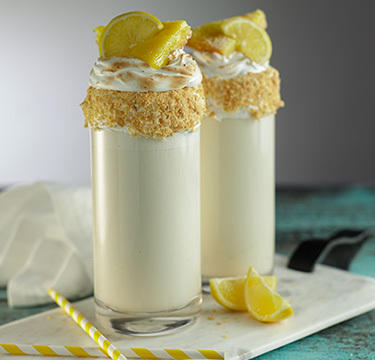 Top with 2 fluid ounces marshmallow crème (optional; toasted), and garnish with chocolate chips, graham cracker squares, and a skewer, straw, or spoon stacked with 3 jumbo toasted marshmallows. Line a half sheet with a silpat. Arrange graham crackers in a single layer on top of silpat. In a medium saucepan, whisk together butter, brown sugar, and salt. Bring to a boil. Simmer for an additional 4 minutes, stirring occasionally. Pour mixture evenly over graham crackers. Bake at 350° for 8-10 minutes. Let cool. Pulse in food processor into small pieces. • Can replace plain graham crackers for graham cracker toffee. 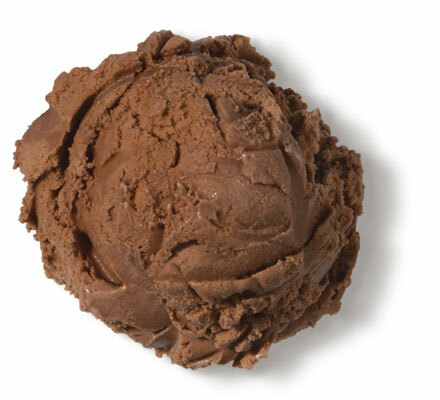 • Use tempered or melting chocolate for hard-set chocolate to decorate the cup and keep clean lines while adding layers.